Adizone ~ is a natural organic remedy demonstrated to REDUCE INFLAMMATION, support upper respiratory and bowel conditions, ease muscle, joint and nerve pain. Adizone's natural primary purpose is for it's anti-inflammatory ability. The organic herbs synergistically harmonize in naturally keeping functionability in your pet. 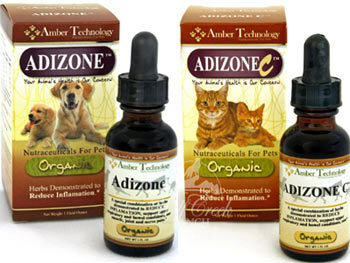 This natural Adizone remedy has many beneficial health uses for your animal or pet. 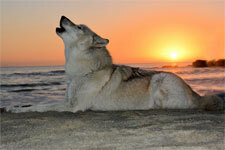 Below are several reasons Adizone is beneficial to the health of your pet. Adizone has been known to help with treatment of excessive itching, irritable bowel syndrome, arthritis and joint pain, alleviation of asthma and other allergies. 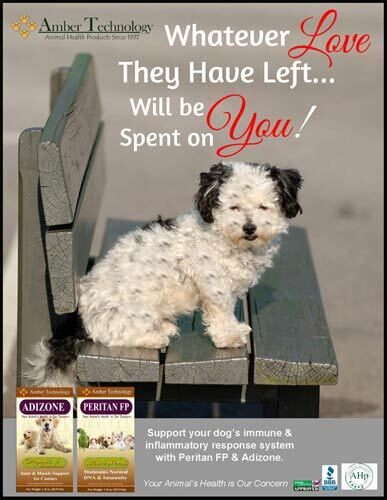 Adizone is excellent to use in conjunction with PAXXIN (formerly PARVAID in cases where parvo puppies are not having regular bowel movements to help alleviate inflammatory swelling and pain. "Proprietary Blend of (Jergon Sacha Root 2,3, Wild Cherry Bark 1,3,4, Cat's Claw Bark 2,3, Valerian Root 1,3) 50 mg"
"Proprietary Blend of (Jergon Sacha Root 2,3Cat's Claw Bark 2,3Valerian Root 1,3) 35 mg"
*Note: One of the most frequently asked questions we get is about the use of garlic in the products. The internet is full of horror stories about the "toxicity" of garlic to pets. Please visit our "IS GARLIC SAFE FOR PETS?" webpage for information regarding the safe use of garlic. General: give 3-4 times daily as needed up to 30 days. Long term: give 1-2 times daily giving a 14 day break every 6 months. Adizone has a 4-year shelf life from date stamped on bottle. Adizone is not a cortisone (i.e. Prednisone) replacement. If you are in need of cortizone, please check with your Veterinarian Health Care Provider.